Roy Swan will become the Ford Foundation’s director of its Mission Investments team Jan. 4. Effective January 4, Roy Swan is joining the Ford Foundation as director of its Mission Investments team, the organization announced Monday. Swan most recently served as managing director and co-head of Morgan Stanley’s ($2.3 trillion) Global Sustainable Finance team. 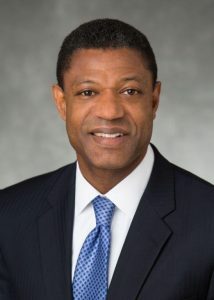 He has also served as the bank’s Community Reinvestment Act (CRA) Officer, CEO of Morgan Stanley Impact SBIC, and Trustee of the Morgan Stanley Foundation. Swan has dedicated much of his career to improving the quality of life in low-income neighborhoods. Prior to his days at Morgan Stanley, Swan was the founding CIO of New York City’s Upper Manhattan Empowerment Zone (EZ), a federal initiative designed to provide relief for impoverished urban communities. It was there that he partnered with chief executive Deborah Wright for the development and execution of the EZ’s $250 million investment fund, which contributed to economic rebirth for Harlem. Swan later became chief financial officer at Harlem-based Carver Bancorp, Inc., the nation’s largest African-American managed bank. In addition, Swan also serves on several nonprofit boards, which include the Dalton School, Enterprise Community Partners, Low Income Investment Fund, and the Partnership for After School Education. He also serves on several private equity fund advisory boards, which include Brightwood Capital, HCAP, and the NEF Multifamily Affordable Rental Housing Preservation Fund.